Walk-able to a variety of downtown stores, sidewalk cafes, artisan coffee shops and enjoyable activities! Updated kitchen with slab granite counters and high-end stainless appliances. Northwestern view provides awesome sunsets with Lake Washington and Olympic Mountain views! Absolute in amenities, West of Market's most extensive single family residence with amazing views of Lake Washington, & Seattle skyline. Six full suites. Take the elevator to the theater, wine cellar & tasting room, game room, recreation room, nanny's quarters, den/library, culinary artist's kitchen, bonus room, sports cave, garages for 6 cars or the lavish master suite & bath. 1000+/-sq ft of covered decks/patio. Remodeled in 2017, this custom-built home offers 4,462 square feet of elegant living spaces with gorgeous millwork, thoughtful appointments, and innovative design throughout. Features 4 bedrooms/4.25 baths inclusive of a detached ADU. The home is amplified by views of Lake Washington that extend to the Olympics and Seattle skyline. Classic 2bdrm/1 bath cottage home, on large private lot with oversized 2 car garage featuring loft & shop space. Located on a cul-de-sac next to Maplewood Golf Course w/access to walking trails & parks. Enjoy entertaining on spacious covered patio. New paint, newer SS appliances, & hot tub. A remodeled home/duplex in the heart of Seattle. Live in one unit & rent the other. #A is a 2bdrm/1bath, updated kitchen & washer & dryer. #B is a 3bdrm/1bath updated kitchen, bath w/washer & dryer. New windows & new roof. Refinished wood floors in the upper unit & new floors in the lower unit. Kirkland Townhome pending in just 4 days! Lovely remodeled townhome in Kirkland’s Springbrook. This desirable end unit features a kitchen with stainless steel appliances, quartz counters, breakfast nook, large living and dining area, powder room, wood floors and slider out to a private patio on the main floor. On the upper level you will find 2 good sized bedrooms, a full bathroom and a large master bedroom with en suite bath and walk-in closet. Kirkland View Condo: Top floor, end unit, 2 bedroom/1 bath located across the street from Houghton Beach and Beach House. 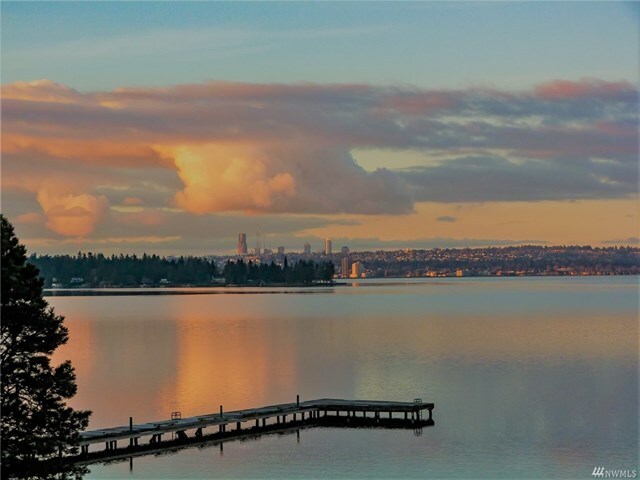 This home boasts unobstructed views of Lake Washington, the Olympics, and the Seattle skyline. Home features granite counter tops throughout and stainless steel appliances. Easy commute to 520, 405, Microsoft, Google and downtown Seattle. Walk to downtown Kirkland - the location is great! West of Market magnificent one level retreat! Fabulous features include hardwoods throughout, remodeled gourmet kitchen with built-ins, 2 gas fireplaces, A/C, and exposed beam ceilings - all within a spacious, open floor plan. Effective year built 2002 with updates in 2018. Large master suite with French doors to courtyard. Nestled on a large, beautifully landscaped lot, perfect for entertaining! Welcome home to this Cape Cod inspired home! Situated on a cul-de-sac, this 4 bed + office + bonus rm offers a great open floor plan w/soaring ceilings, formal living & dining, remodeled gourmet kitchen w/brand new SS appliances & farm sink, quartz countertops. Office on main floor. Roomy bdrms, bonus room, & walk-in utility rm upstairs. Large master suite, 5 pc master bath & walk-in closet. Private fenced backyard w/covered patio. 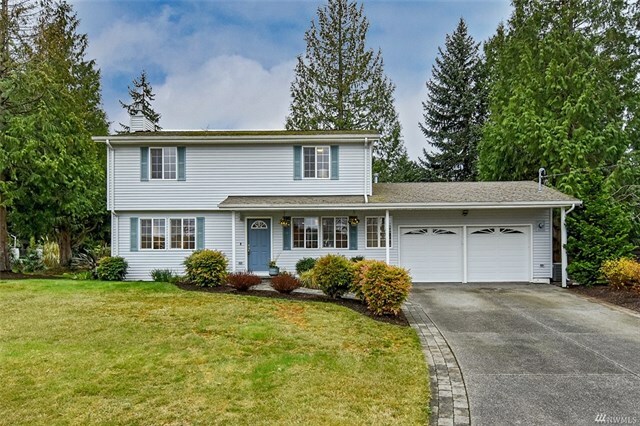 Minutes to DT Kirkland, 1-405 & great LK WA schools. Stylish and inviting 3,200+ square foot, 4 bedroom, 3.5 bath in Woodinville’s tranquil Woodbury community. Spacious, open floor plan. Gourmet kitchen with stainless steel appliances, walk-in pantry, hardwood floors, and granite counter tops. Custom mill work throughout. Luxurious Master Suite with 5 piece bath, fireplace, walk-in closet, and sitting area. Charming Queen Anne home with views of Lake Union, City, Space Needle & the Cascades. Centrally located with easy access to I-5, 99 & walkable to restaurants, cafes & South Lake Union. Lovingly maintained throughout the years, this home boasts an updated kitchen with gourmet stainless steel appliances with nook that leads to entertainment Trex view decks. Well maintained, 5 bedroom, 2.5 bathroom, East of Market home on a cul-de-sac. Enjoy watching sunsets from the large covered porch. Peek-a-boo views of Lake Washington and the Olympics. Functional floor plan with living and dining room. Master bedroom with vaulted ceilings, bath, and walk-in closet. All five bedrooms are on the top floor. Private backyard backs up to greenbelt. Spectacularly maintained & updated Newcastle 4bd home located in desirable quiet Newport Woods neighborhood, minutes from schools, shopping, parks, and I-90/405 freeway access. Pickering Passage Retreat is a unique property with the main home consisting of 4 bedrooms and 4 bathrooms all situated on 4.3 gorgeous acres. This property is a haven for boaters with 975 lineal feet of low bank salt water and private tidelands, shellfish beaches, concrete boat launch ramp, boulder bulkhead, deep water year-round boat mooring buoy with anchoring system and is within close proximity to several public and private marinas. 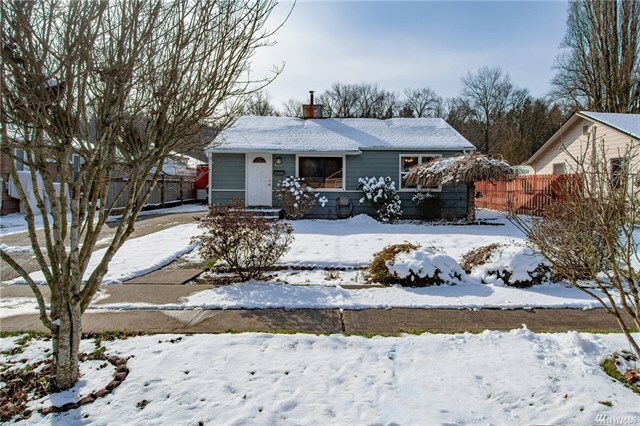 This charming remodeled 3 bedroom, 2 bath home includes a new roof, Hardiplank siding and double pane windows. Special home in desirable Amber Ridge with a private, spacious, backyard overlooking an expansive greenbelt, fully fenced. Extensive deck and patio ideal for entertaining. Easy commute to Downtown Seattle and tech corridor. Great Northshore schools! Charming Kirkland 3 bedroom, 2 bath end unit townhome remodeled and turnkey. All new kitchen and bathroom cabinets, Carrera granite counters and beautiful wood laminate and tile flooring. New paint and roof, light fixtures, washer/dryer and stainless kitchen appliances. Bay windows and fully fenced backyard with deck add to the charm. Charming craftsman in Bothell's Meadow Creek Park. 3 bedroom, 1.75 bath, 1620 square foot home with remodeled kitchen featuring granite counters and stainless appliances. New interior paint, new carpets, and nice craftsman details such as wrapped windows add style to this lovely home. Spacious front porch greets you with a nice private garden. Over 3,000 square feet of spacious living in well maintained 5 bed /3 bath home situated on a cul-de-sac and backing to a greenbelt for privacy. Turn key home with remodeled kitchen with granite counters & stainless steel appliances. Large deck overlooking the private meticulous backyard. House has newer roof (2016) & newer vinyl windows. Huge two-car garage and large workshop that is not included in square footage. 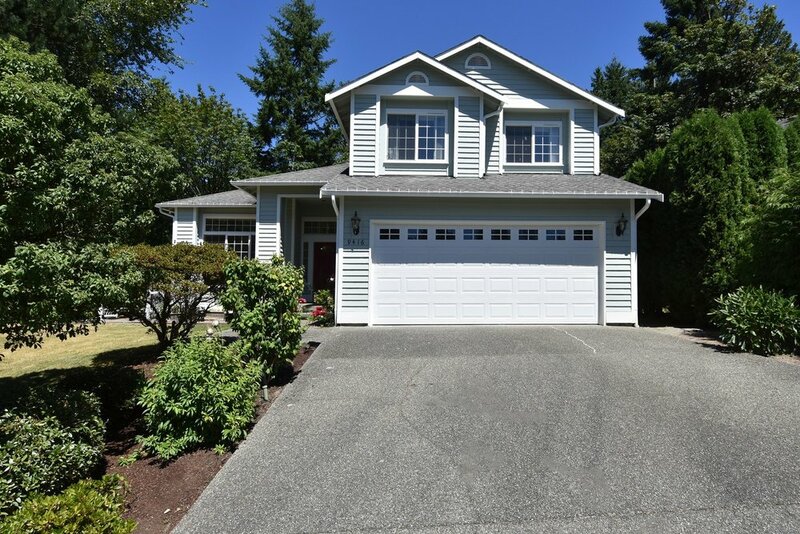 Close to all that Kirkland has to offer, Award winning Northshore schools! Situated on a lovely street this impeccably maintained Ballard home is not to be missed. The countless updates include new siding, gutters, kitchen & baths, updated electrical, expansive back deck and fully finished basement. This charmer includes 3BR, 1.75 baths that have been updated but with original details left to shine. In addition, picture a private backyard oasis perfect for entertaining. Oversized windows allow sunlight to freely flow throughout. 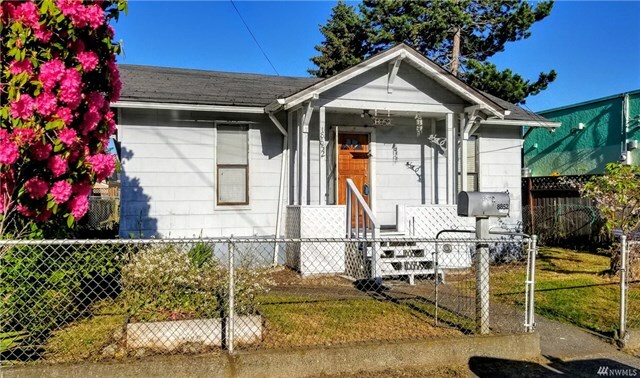 Close to all Ballard has to offer! Exceptional Houghton Craftsman, 4 bed/4.5 bath + office + flex room and bonus room. Centrally located to Google, Microsoft, 520, downtown Kirkland and Seattle. Soaring entry, expansive great room with built-ins. Gourmet kitchen with butlers pantry, stainless Viking appliances. Sumptuous master with jetted tub, 2-sided fireplace and heated floors. Covered entertainment deck and handsome hardscape (12,353 square foot lot) with territorial views of lake and mountains. Spacious Queen Anne home with territorial views of Lake Union and mountains. This 4 bedroom, 2.5 bathroom home with a well appointed floor plan is over 2,800 square feet. The main floor has a foyer, living room with big picture windows, dining room, bedroom, bath, and remodeled gourmet kitchen. Upstairs has 3 bedrooms and full bathroom. Finished basement with bonus room, 3/4 bathroom, utility, and tons of storage. Covered deck off of dining room and garden space. Gorgeous turn-key English Hill home/estate situated on .8 acre lot. This 3,310 square foot home with 4 bedrooms, plus den, bonus room, and 2.5 bathroom on an idyllic cul-de-sac offers privacy. New floors, newly remodeled chef's kitchen, bathrooms, newly painted mill-work and newer roof make this like new construction! Great floor plan with a main floor master suite. Beautifully landscaped yard with entertainment deck and sport court. Open concept living with views of Lake Washington, the city & mountains. Dramatic soaring ceilings, stone fireplace, and great natural light. 4 bedrooms and 2.75 bath on a 9,000 square foot lot. Lovely garden space featuring a backyard with wrap-around deck. Basement has a bonus room, bedroom, 3/4 bath, and a potential MIL. Upper level has a spacious master bedroom with master bath & walk-in closet. An open loft perfect office/flex space. Lovely 2 story cottage nestled on sunny, private 1.45 acres. Great for first time buyers or building a dream home. Enjoy the open main floor plan with French doors leading to large wrap-around balcony. Upstairs bedroom balcony has view of Sammamish Slough. Sunlit kitchen with breakfast nook/desk area, jetted tub, skylight, built-in bookshelves, wood burning stove, and wood-wrapped windows and doors are some of the special features. New roof too! Charming detached artist studio/office bldg. Live the Lake Washington lifestyle with 68' of breathtaking western exposure Lake WA view in Bellevue! New bulkhead and new 72' dock with power and deep water moorage. Great open floor plan, one level living with vaulted ceilings. Breathtaking views from all main living areas situated on a .5 acre lot. Lovingly cared for with beautiful perennial gardens. Excellent close-in location just south of popular Newcastle Beach. Bellevue schools and glistening waters of Lake Washington are all yours. 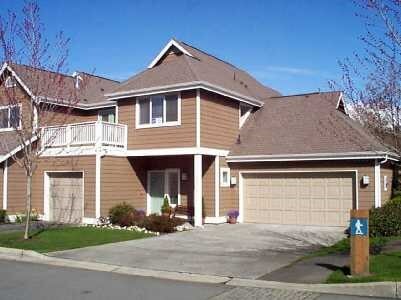 Beautiful 2 bedroom/2.25 bath town home in the sought-after Issaquah Highlands neighborhood. Hardwood floors in kitchen & dining room. Gourmet kitchen with granite counters & gas cooktop stove. Sunken living room with gas fireplace with slider to deck and territorial views. Both bedrooms boast en-suite baths on upper level. The master suite has 2 walk-in closets, offering plenty of storage. Attached garage, & street parking. Completely remodeled in 2001, this home boasts an open two-story floor plan and has vaulted ceilings, skylights, hardwood floors, French doors, 4 bedrooms and 4 bathrooms. Special features include a chef’s kitchen, dining room, 2 fireplaces, den, family room, artist's studio and charming Approved Dwelling Unit over an expansive 2 car garage. Welcome to this custom 4 bed + den + bonus, 3600 square foot home. Extensive detailing & amenities including A/C, built-ins, wainscoting & fantastic $40k backyard with deck, raised garden beds & trellis backing to a greenbelt. Open floor plan features chef's kitchen with coffered ceiling & slab granite island with seating for 6. Gorgeous sunroom/dining room. Lake Washington view home situated in the Arrowhead neighborhood with award winning Northshore schools! Well cared for home, with hardwood floors & vaulted ceilings. This 5 bedroom, over 2700 sq ft home has the master bedroom & bath on the main floor & two additional bedrooms. 3 bedroom/2.5 bath + den; open floor concept home with vaulted ceilings. Wood floors greet you & are throughout the home. Spacious kitchen with island, gas stove, walk-in pantry that opens to the family room. Gorgeous yard backs up to private green belt, in a park-like setting perfect for gardening & entertainment. Refined and timeless East of Market Home with all the modern conveniences. Situated high off the street, this home renovated in 2001 feels like a small estate. A magnificent 80 feet of low-bank Southwest facing Lake Washington Waterfront located on the coveted Lake Avenue West. Rarely available coveted Rose Point Waterfront mid-century home with wonderful lake and mountain views. Sun-filled, two-story home on a large level lot with southern exposure. Easy commute to Microsoft, Google, and downtown Seattle. 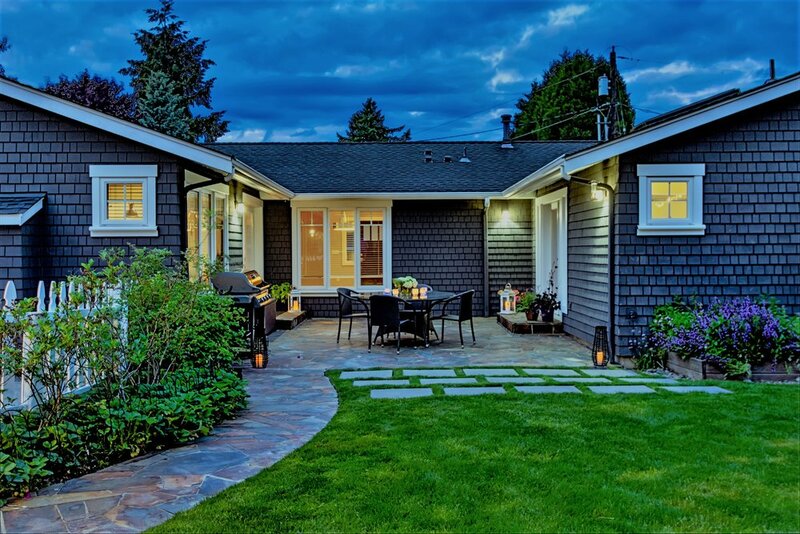 Stunning updates breathe freshness into a classic Kirkland home with easy access to Microsoft, I-405 and downtown Kirkland. Fantastic investor opportunity in a four-plex with 100% occupancy. All 2 bedroom, 1 bathroom units are approximately 890 square feet and include a dishwasher, washer dryer, patio or deck and some yard space. A sun drenched, eco-conscious end unit townhome in the popular Element Community. View two bedroom, 1 bathroom condo situated in the heart of Kirkland/Juanita. A top floor unit in a private and quiet locale with views of the private pond. An open floor plan with a great use of square footage located in the heart of downtown Kirkland. Refined Living at Waters Edge, one Kirkland's most admired waterfront communities. A prime East of Market property on a corner lot with fantastic 180 degree lake, city, skyline and mountain views. 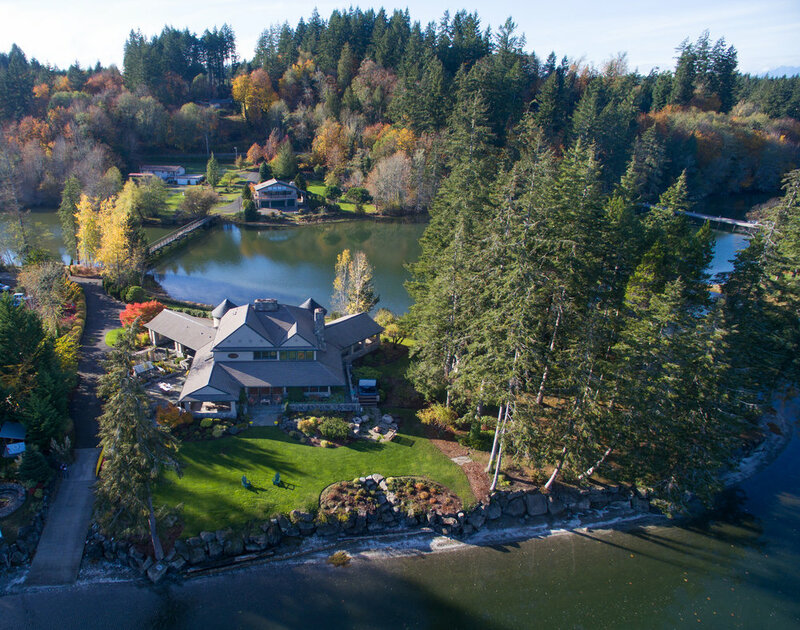 Lakeside living right on the water's edge in Sammamish Shores. 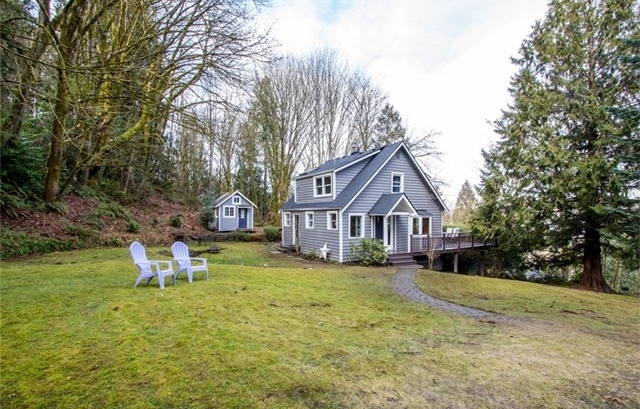 Head down a private lane to this East of Market Queen Anne Charmer. A fabulous Craftsman style Houghton home with custom woodwork and vaulted ceilings. Luxurious Kirkland living with fabulous walk-ability. A well-appointed West of Market modern home with spectacular lake and city views. A lovingly remodeled European-inspired East of Market home situated on a quiet cul-de-sac. A rare opportunity to own in an East of Market cul-de-sac neighborhood. A new downtown Kirkland Lake View home in Camwest's Nettleton community. Custom built East of Market home with a touch of tradition from the past to the present. A coveted Rose Point Waterfront Mid-Century View Home with gorgeous interiors. Situated centrally to community and activity, this Houghton Craftsman invites peace, discovery, and appreciation for nature. Modern elegance meets this custom built East of Market craftsman. Elegant end unit with stunning views of Lake Washington, the Olympics and Seattle! The BEST views in all of Kirkland at this Northwest contemporary home in Houghton. 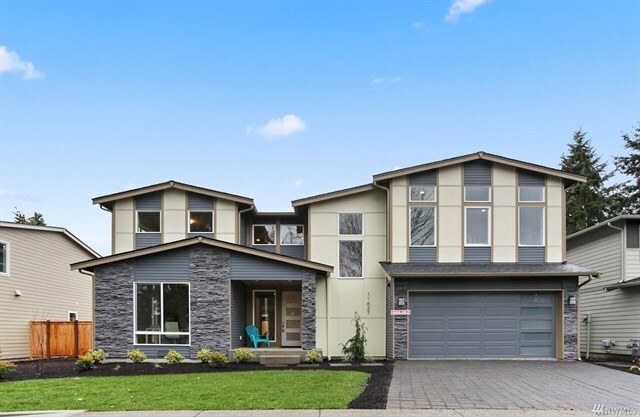 The perfect Kirkland location for this spacious contemporary showcase. Exquisitely updated town home with contemporary flair in a sought-after Kirkland location. A gorgeous home in the desirable Amber Ridge neighborhood with a private, spacious backyard overlooking an expansive greenbelt. 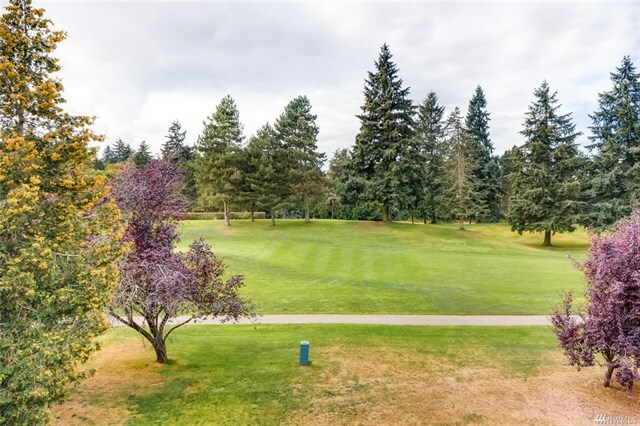 Top floor penthouse overlooking the Heathman Hotel and Peter Kirk Park offers picturesque views. 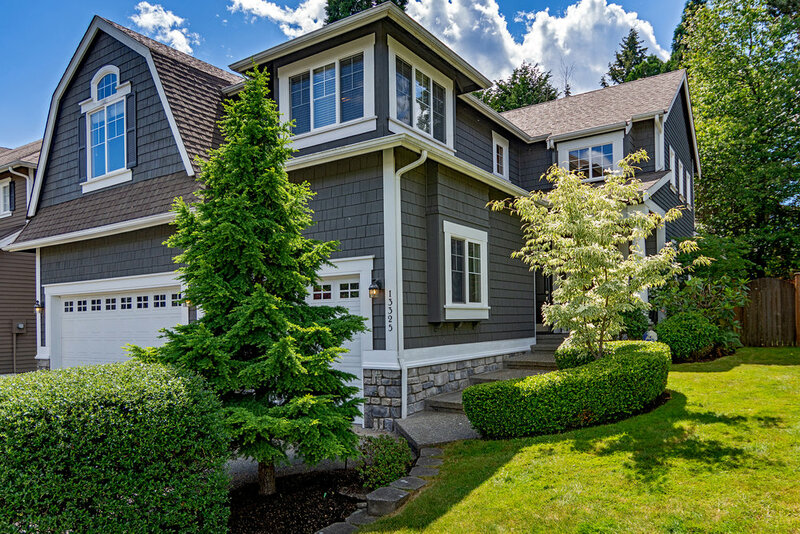 Situated across the street from Lake Washington, this Holmes Point jewel boasts great views. Walk to downtown Kirkland and enjoy a fabulous lifestyle on the 1/3 acre native growth protected area in the backyard. A single family condo at Tenth & State by Lexington Fine Homes. This updated West of Market gem sits on a well-landscaped lot. Rare find in a coveted 4-unit complex on Capitol Hill. Better than new town home situated in desirable Talus backs to a greenbelt. Updated condo with an open floor plan and SW exposure backing to a private green space. A charming cottage home with modern conveniences situated in Poulsbo Place. Sign up to receive news and updates on the local real estate market. CATHERINE FERRERA & ASSOCIATES IS A TEAM OF REAL ESTATE BROKERS AFFILIATED WITH COMPASS. COMPASS IS A LICENSED REAL ESTATE BROKER AND ABIDES BY EQUAL HOUSING OPPORTUNITY LAWS. ALL MATERIAL PRESENTED HEREIN IS INTENDED FOR INFORMATIONAL PURPOSES ONLY. INFORMATION IS COMPILED FROM SOURCES DEEMED RELIABLE BUT IS SUBJECT TO ERRORS, OMISSIONS, CHANGES IN PRICE, CONDITION, SALE, OR WITHDRAWAL WITHOUT NOTICE. NO STATEMENT IS MADE AS TO ACCURACY OF ANY DESCRIPTION. ALL MEASUREMENTS AND SQUARE FOOTAGES ARE APPROXIMATE. THIS IS NOT INTENDED TO SOLICIT PROPERTY ALREADY LISTED. NOTHING HEREIN SHALL BE CONSTRUED AS LEGAL, ACCOUNTING OR OTHER PROFESSIONAL ADVICE OUTSIDE THE REALM OF REAL ESTATE BROKERAGE.